The volunteers behind the BXL Refugees citizen support platform have been named Bruxellois of the year in a public vote by the audiences of Viva Bruxelles, Le Soir, Vlan and BX1. 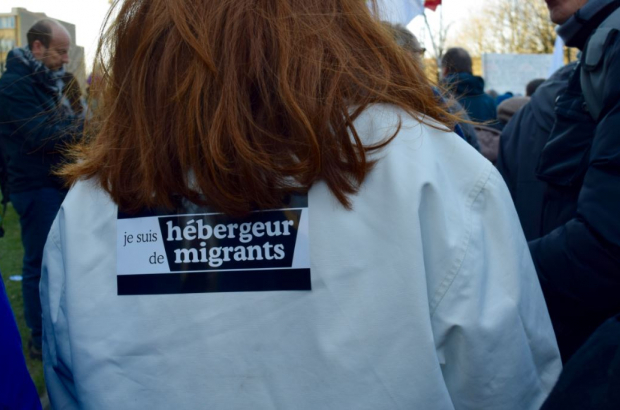 The citizen-led initiative, which was behind last Sunday's 10,000-strong march through central Brussels, was praised for giving assistance, clothing and accommodation to migrants around the Maximilian park near Brussels North station. Start-up incubator and coding school MolenGeek, which has helped 600 young people, took the economy prize. The award for Brussels cultural institution of the year was given to La Monnaie, which reopened to the public last September after two years of ambitious renovation. Brussels political figure of the year went to Olivier Maingain, founder of the Défi party and mayor of Woluwe-Saint-Lambert, while the sports award went to Amal Amjahid, who at the age of 22 already holds four world ju-jitsu champion titles. More than 19,000 votes were cast for this year's awards, which in the past have honoured figures including Stromae and cartoonist Philippe Geluck.